This is the question that many people ask themselves when they hear about the outlandish returns that this cryptocurrency has had over the past 10 years. 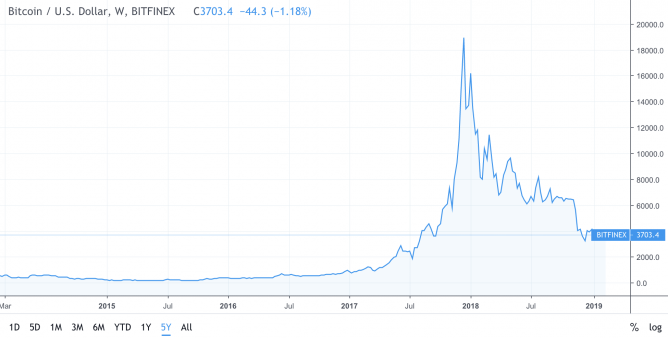 After its creation in 2009, the Bitcoin price has been on a constant parabolic uptrend that has so far pushed its price from less than $0.01 to $20,000 per coin. Meaning that a $50 investment in 2009, would have netted you $100 Million at the Bitcoin All-Time High! 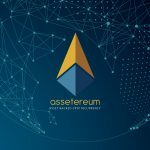 Do you know any other asset that has offered similar returns? Probably not. 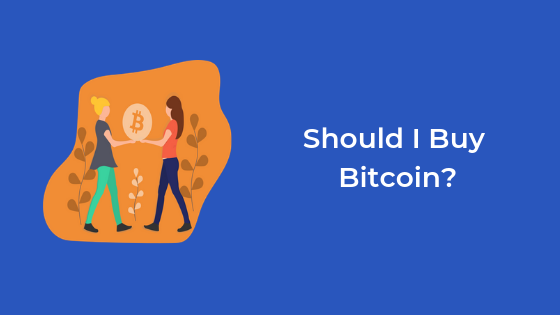 In this short guide, we will be covering the massive potential but also the considerable risks of investing Bitcoin, and we will hopefully help you to answer the question of whether you should buy Bitcoin, or not. What competitive advantage does Bitcoin have? Which Bitcoin investment strategy should you follow? When is the right time to buy Bitcoin? How much money should you invest in Bitcoin? 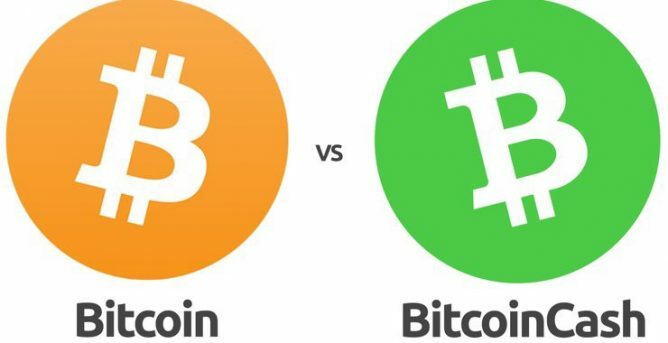 Should you buy Bitcoin or Bitcoin Cash? Should you buy Bitcoin or Ethereum? Bitcoin was created back in 2009 by its pseudonymous founder Satoshi Nakamoto. It was the first cryptocurrency to be ever created, and it has spawned an entire industry around it hundreds of businesses and thousands of new crypto assets. Even though at the time of writing there are well over 2,000 cryptocurrencies out there, none of them has ever surpassed Bitcoin in total value (market capitalization) or in hash power (the computing power that keeps the network secure). This lead many people to claim that the Bitcoin phenomena cannot be ever replicated again, just like nothing could replicate Gold’s success as a store of value in the past 2,700 years. The main argument being that the type of fair launch and organic growth that Bitcoin had is impossible to replicate in a world that already knows so much about cryptocurrencies. One example for this was the mainnet launch of “Grin”, which was supposed to be a fairly launched new privacy coin. However, shortly after the launch, it came to light that wealthy VC firms had set-up over $100 Million worth of miners to profit from the cryptocurrency at launch. Currently, the creation of money is in the hands of a few people whose interests are not aligned with the rest of the population. Bitcoin aims to change that and hence completely redefine the way that humans think about and interact with money. The fact that the creation of fiat money (USD, GBP, EUR, etc) is in the hand of a small elite, has lead to many unnatural forms of economic instability. 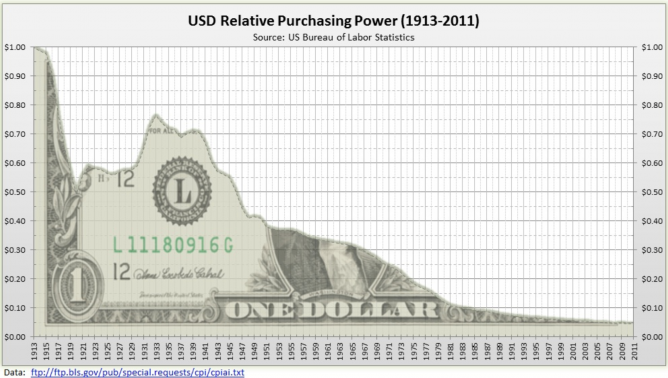 A notable example is the existence of inflation, which essentially is the percentage of value that fiat money loses every year due to the increase in money supply. 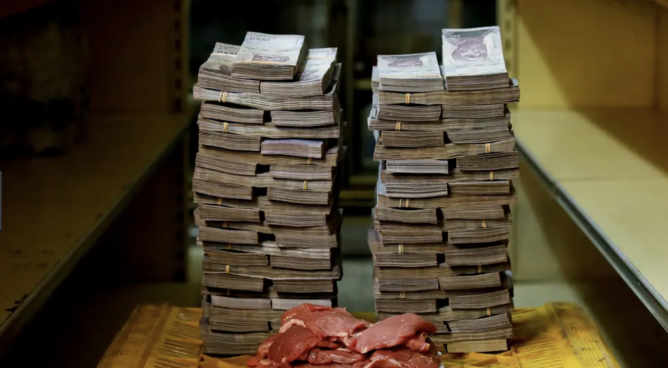 When the increase in money gets out of hand, like in the case of Venezuela or Zimbabwe, hyper-inflation comes to place and the country’s currency loses most of its value in just months. This can’t happen with Bitcoin since in Bitcoin the creation of money is not controlled by anyone. Bitcoin has a hardcoded monetary policy that cannot be violated, and that makes it a form of money protected from the manipulation that fiat money is subjected to. 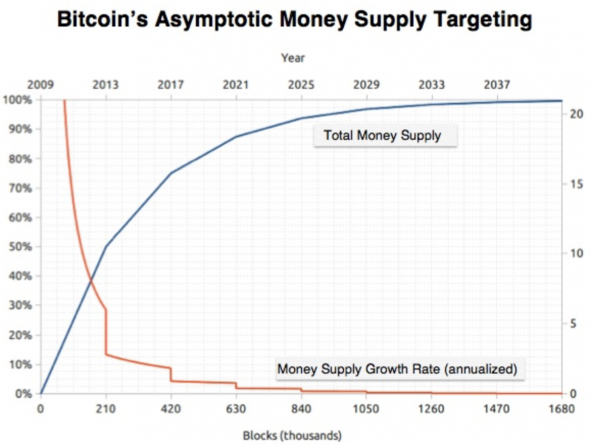 This hardcoded monetary supply is illustrated by the 21 Million coins supply cap of Bitcoin, and is enforced through the Bitcoin block reward, which is an algorithmically determined amount of Bitcoin that is generated every block (about 10 minutes. Again, there will never be more than 21 million Bitcoins in existence. That’s less than 1 Bitcoin for every millionaire in the world. Let that sink in. Bitcoin is not called “Digital Gold” for no reason. Cheaper transport: Transporting $100 Million worth of Gold from one country to the other will cost millions of dollars in logistics and security measures. On the other hand, it is essentially free to do the same with Bitcoin since you can just send it online. Digital verifiability: If someone claims to own a certain amount of Gold, as some Central banks do, it is very hard to prove unless you visit the actual vault. On the other hand, Bitcoin is fully transparent and it is easy to verify how much Bitcoin a certain address holds. Ease of storage: Since Bitcoin is not a physical asset, you don’t need expensive vaults and around the clock security to store it. Storing your Bitcoin safely is as easy as sending them to a great cryptocurrency wallet. Smaller environmental impact: Gold mining is an extremely destructive industry. It not only permanently destroys the landscape where it is conducted, but often also dangerous chemicals are used which harm the wildlife in the area. Bitcoin mining does consume electricity and hence there is an environmental as well, but it is magnitudes smaller than Gold’s. If Bitcoin becomes a form of digital gold and reaches the same total valuation as Gold, that would put the Bitcoin price at approximately $340,000 per coin ($6 Trillion market capitalization). Since the Bitcoin network is not controlled by a central entity, transactions on the ledger cannot be stopped or rolled back. This makes Bitcoin possibly the only efficient form of uncensorable money in existence. This is very powerful for a variety of reasons, but most importantly it enables people to protect their wealth from authoritarian regimes and it enables truly open commerce. To illustrate this point better, let’s get back to the example of Venezuela. At the time of writing, Maduro’s regime prohibits anyone to store meaningful amounts of money in Gold and confiscates it when found. This puts people in a tough position since if they store their value in the country’s currency, the value will completely disappear in just weeks due to hyperinflation, while if they store it in Gold they risk seizure and can’t move it around easily. Therefore, what some citizens have decided to do is to store their value in Bitcoin. They can easily store their Bitcoin on a cryptocurrency hardware wallet, a piece of paper by just writing down the recovery words, or even in their brain by memorizing them! They can now also easily use that Bitcoin to buy goods and to quickly send it to friends or family abroad if necessary. Many supporters believe that Bitcoin will not only become digital Gold, but that it will in fact eventually kill-off and substitute fiat currencies like the US Dollars. If that happened, the total market capitalization of Bitcoin jumps into the tens of Trillions of dollars, pushing the price to over $1 Million per Bitcoin. Never in the history of Bitcoin’s existence have so many positive price catalysts come together in such a short period of time. As the Bitcoin Lightning Network keeps growing, scalability doesn’t look at all like an unsolvable problem anymore. Large institutions like Investment Banks and Pension Funds are starting to get into Bitcoin. Bitcoin adoption is at an all-time-high with thousands of merchants accepting the currency. This is a lot to absorb so let’s dive into each one in a bit more detail. With a limit of around 3 transactions per second, it was clear from early on that Bitcoin would not be able to process payments simultaneously for hundreds of thousands, or even millions, of people… Or could it? Enter Lightning Network (LN). LN is a Layer 2 scaling solution for Bitcoin, meaning that transactions are not going through the main chain but through sidechains. This makes individual transactions a lot cheaper and throughput seemingly ceilingless. The main limitation of LN is that it can only process as many transactions as many Bitcoins are locked in the network in the form of a channel. 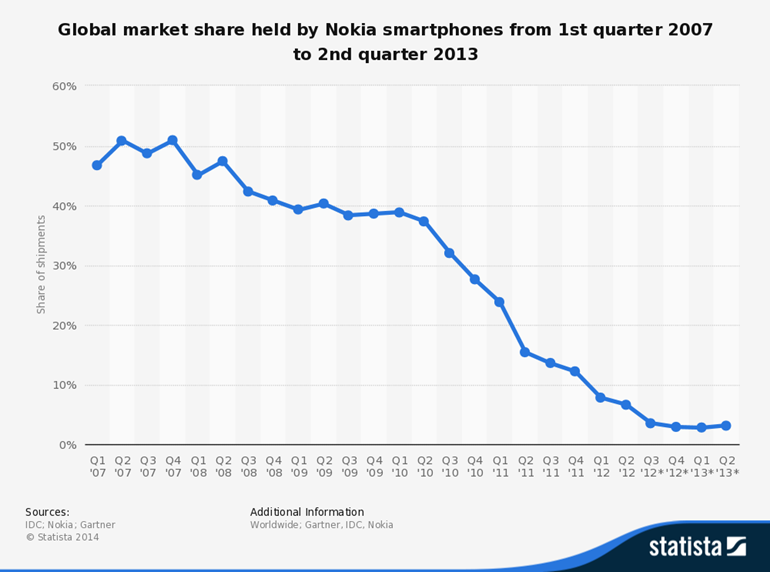 That being said, the growth of the network capacity has been remarkable and shows no signs of stopping anytime soon. With scalability solved, Bitcoin now has what it takes to truly become a global form of money, which leads us to the next point. Aside from thousands of merchants accepting Bitcoin worldwide, an interesting trend to watch is one of citizens in third world countries adopting Bitcoin to protect their wealth. 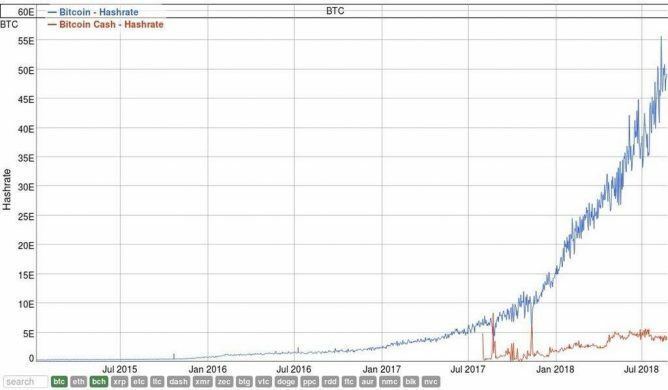 As can be observed in the chart above, the trading volume of Bitcoin in Venezuela has gone through the roof. This is a clear sign of people adopting Bitcoin as currency when their national currency has failed. Finally, the big fish are starting to get increasingly interested in Bitcoin. Many speculate that this is not only due to quickly growing adoption but mainly due to global economic uncertainty and fear due to the outlandish amount of debt that is the foundation of the fiat money system. 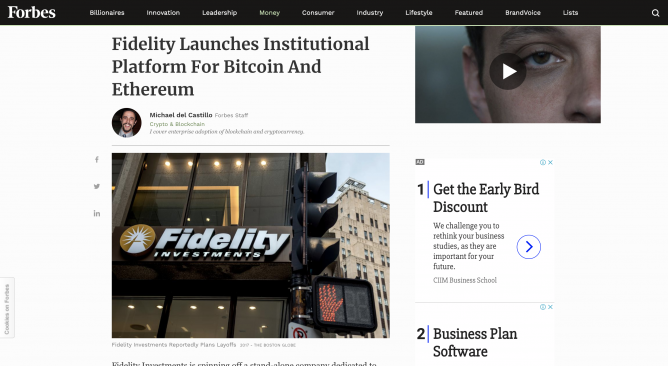 Large institutions like Fidelity, Nasdaq, and JP Morgan have all publicly announced that they are buying Bitcoin or that they are building bitcoin-related products for their millions of clients. However, this is likely just the tip of the iceberg. It is very probable that dozens of additional institutions (and possibly even Governments) are also working behind the scenes on Bitcoin infrastructure but have not announced so to the public yet. Is it safe to buy Bitcoin? Absolutely not, and everyone telling you otherwise is probably trying to make money from you. Bitcoin is still a highly volatile asset and price drops of over 10% in a day are part of the norm. That’s just how it is, with great opportunity always comes great risk. Furthermore, Bitcoin is still largely an experiment and you should treat it as such. You should never invest in Bitcoin more money than what you can afford to lose. Due to the speculative nature of Bitcoin, even mere rumors like a country potentially regulating Bitcoin can already cause a significant price drop. At the time of writing, Bitcoin has had 6 major drops in its history where its price declined over -80% over the course of a year. Bitcoin is a network, and hence unlike Gold, its existence could potentially be threatened by a single bad actor. One devastating attack that could potentially be performed on Bitcoin is a so-called “51% attack”, in which a miner that controls more than 50% of the network’s computing power (Hash power), uses it to change transaction history or even spend Bitcoins more than just once. 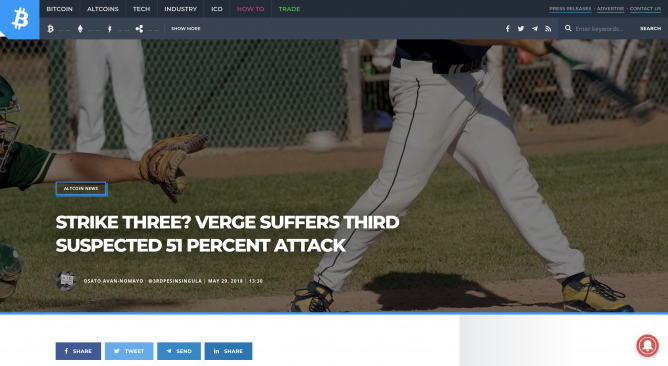 Although it’s true that a 51% attack has never been performed successfully on Bitcoin, many smaller coins like Verge and Ethereum Classic have been affected by this attack, and the result was devastating. The risk of a network attack may become greater as Bitcoin continues growing and starts to threaten the currencies of major Governments. On the flip side, the bigger Bitcoin becomes the stronger the network gets and therefore a successful attack becomes a lot more challenging. We have seen over and over again that the first version of a technology is often not the one that ends up sticking around forever. This has been the case with mobile phones, cameras, and even social networks. Many people claim that this won’t affect Bitcoin since Bitcoin is not just a technology but a form of money and that the network effects that money establishes are very hard to break. Fact is, there is a very little precedent on this and therefore this point might indeed hold true. However, it’s important to remember that social networks also heavily rely on powerful network effects, yet all of the social networks we use nowadays where only reiterations of the first versions. Bitcoin is built on a deflationary model, meaning that the value of money increases over time. This is a strong contrast to the fiat money system, which through inflation is designed in a way that money loses its value. There are two main schools of economics that explore these two economic models: Austrian economics and Keynesian economics. Austrian economists believe that the world needs a deflationary monetary system to flourish, while on the other hand, Keynesian economists believe that inflation and debt are necessary to encourage economic growth. It is hard to say which economic school is right without taking a subjective approach, but if Keynesians turn out “to be right” then Bitcoin would be flawed at its very core monetary policy, which would essentially guarantee its failure in the long run. As stated earlier, once Bitcoin grows to a certain size where it starts to threaten major fiat currencies, Governments may take coordinated action to shut Bitcoin down. One approach would be to illegalize Bitcoin exchanges and hence prevent people from buying it. They might even go as far as legalizing Bitcoin and making anyone holding it legally liable. Something similar has already happened back in 1933 when the US Government made it illegal to hold gold, and confiscated this precious metal from its citizens. That being said, unlike Gold, Bitcoin is not a physical asset that can easily be identified by the Government. An individual could simply memorize the private keys to his coins, or even send them to friends or family abroad with just the click of a button. Therefore, such an endeavor could only be successful if coordinated on a global scale. And as history has shown in multiple instances, Governments are notoriously poor at coordinating on an international level, which would make a crackdown of this magnitude rather unlikely. Bitcoin is still a high-risk and high-volatility asset that should be treated with extreme caution. It is definitely not the right asset for anyone and you need to be aware of that if you want to avoid unnecessary stress. A person with a large portfolio that invests a small percentage into Bitcoin as a hedge. A young person with little financial responsibilities (no family, no mortgage, etc) whose life will not be very negatively impacted if he loses money with Bitcoin. A person with a stable job that buys a small amount of Bitcoin every month with his salary. You have probably noticed that all of the above 3 profiles have one thing in common: they are not investing more money into Bitcoin than what they can afford to lose. If you are a person that can handle wild market swings and that has some money set aside for high-risk investments, then Bitcoin might be a good option for you. Now that we covered who should be buying Bitcoin, let’s quickly also dive into who actually is buying Bitcoin. Since the research only involved a few thousand people these numbers may not be entirely correct, but it does give you an approximate idea of the group of people that you are joining when you buy your first Bitcoin. It’s important to only buy Bitcoin if you have an exact investment strategy in mind. Having a framework that you can follow will make it a lot easier for you to handle the wild price swings of this digital currency. 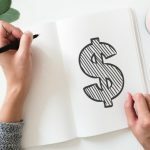 Although there are a few more, in this article I will show you the 3 most popular Bitcoin investment strategies that you can start following today. Yes, that is not a typo. “Hodl” is the name for a Bitcoin investment strategy that simply consists in buying Bitcoin, and holding it forever. 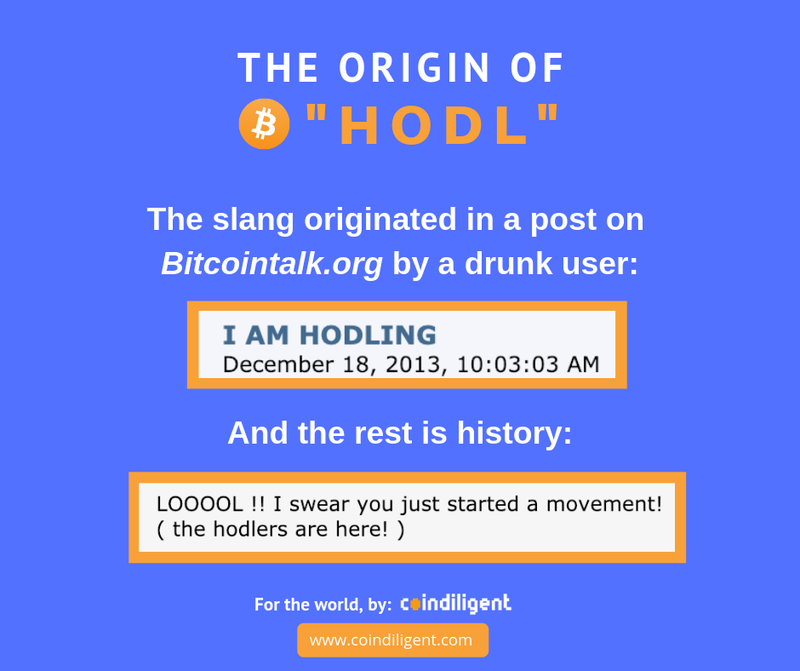 The now iconic word was coined by a drunk Bitcoiner that said that he will never sell his Bitcoins and that he will “Hodl”. 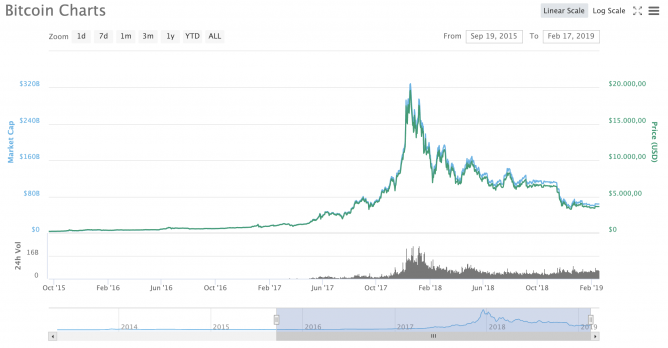 This is by far the simplest way of getting exposure to Bitcoin since it does not require any active management from your side, and since Bitcoin has been in a long-term bull trend ever since its inception, it might also prove to be very effective. Dollar cost averaging is a strategy also often used in stockmarket investing. 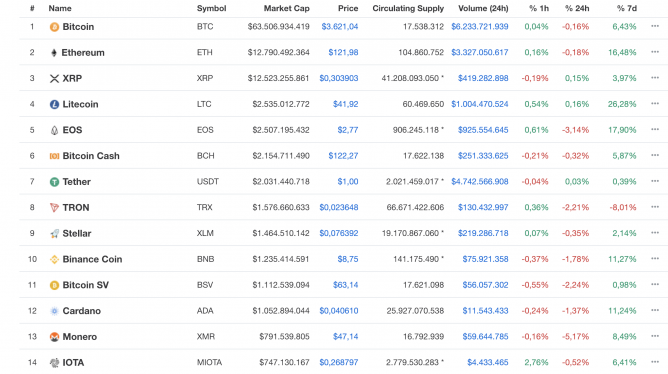 It essentially consists of buying small chunks of an asset periodically (every week, or every month) in order to minimize the risk of buying at the top. Investor A and investor B both want to buy $10,000 worth of Bitcoin and the current Bitcoin price is $5,000. However, investor A buys it all at once while investor B buys it in chunks of $2,000 over 5 months. Now right after both investors buy, Bitcoin drops to $3,000 in the next month. Investor A: Has a problem because he has made a big loss. Investor B: Has also made a loss, but he still has 8,000 to buy cheap Bitcoin now. Therefore, if you are not comfortable with timing the market then dollar cost averaging might be the right Bitcoin investment strategy for you. Finally, the last strategy is to actively manage your portfolio. This can be done by selling some of your Bitcoin after it has gone up a lot, and by re-buying them cheaper if there is a drop. Interestingly, you don’t necessarily have to actually sell your Bitcoin holdings to protect yourself from a big price drop. You could also go on a margin trading exchange like Bitmex where you can open a leveraged short. Let’s say you hold 10 Bitcoin. Instead of selling 4 Bitcoin when you think that the price is going to drop, what you could do is send 2 Bitcoin to Bitmex and open a short with 2x leverage. This way, you can trade with 2 Bitcoins but they are actually worth 4 Bitcoin in the trade. When the price then drops and you think the bottom is in, you can now close the short at a profit and use the profits to buy more Bitcoin. Needless to say, this strategy should only be used by people that are experienced with the matter and that are familiar with the risks of margin trading. The macro price cycle occurs in the form of multi-year bull markets that push for new all-time highs, and that is then followed by a 1-2 year bear market. 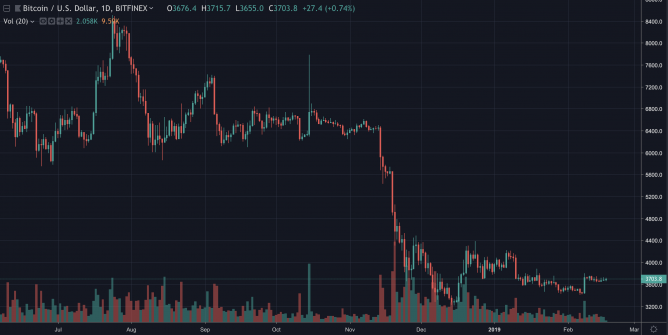 The bottom of this bear market has historically always been marked by the “Bitcoin Halving”, which is the event in which Bitcoin’s algorithmic monetary policy automatically reduces the yearly inflation by 50%. 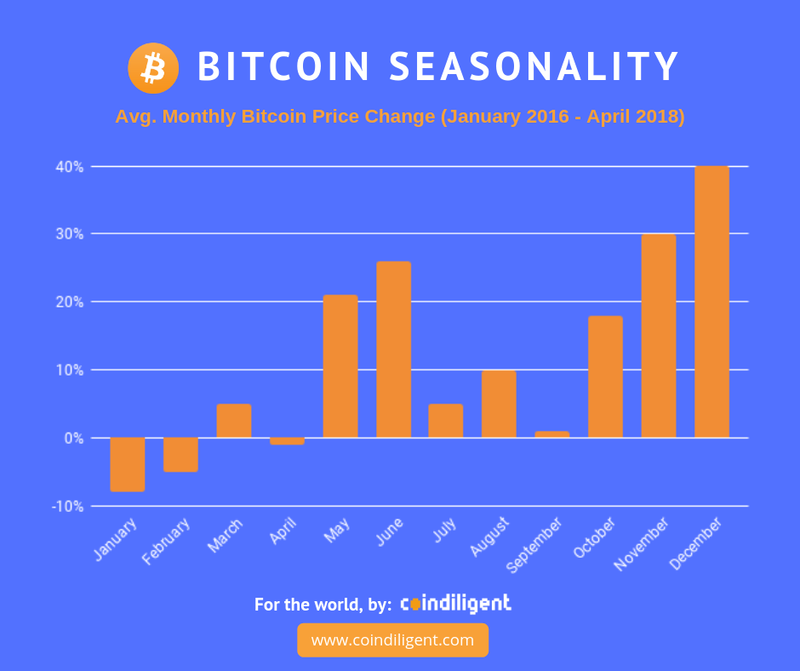 On the micro level, Bitcoin is known to follow patterns in certain seasonalities. 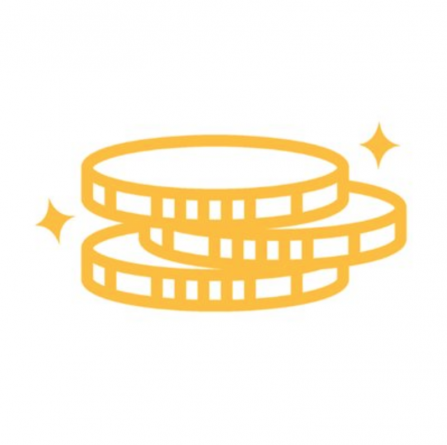 Although some speculate that this may have to do with year-end bonuses which some people use to buy Bitcoin, there isn’t really a proven explanation for this phenomena. Historically, November has always been the best time to buy Bitcoin and was followed on average by a 30% rally in the same month and by a 40% average price increase in December. On the other hand, January has historically been the worst time to buy Bitcoin since the average return in that month is -8%. As I pointed out earlier, Bitcoin is a highly speculative asset and you should never invest more money that you can afford to lose. A good mentality hack to use before buying Bitcoin is assuming that the money you are planning to invest is gone forever. If that thought makes you nervous, then you were planning to invest too much. That being said, if you are going to start investing a bigger amount into cryptocurrency, then try to own 1 whole Bitcoin first. There will only ever be 21 million Bitcoins, which isn’t even enough for every millionaire in the world to own one. After you own your first Bitcoin, then you are now in a good position to also invest in other cryptocurrencies. Many people when they are just getting started in the crypto world wonder if they should buy Bitcoin or Bitcoin Cash since they don’t really know the difference between both coins. Both coins are focused on becoming digital money. However, although “Bitcoin Cash” has the name “Bitcoin” in it, it’s not actually the original Bitcoin. Bitcoin Cash is a “fork” (a copy) that was created of Bitcoin back in late 2017 with the aim of improving on some features that Bitcoin has, namely increasing the block size from 1 MegaByte to 8 MegaByte to supposedly have lower fees and be more scalable. Bitcoin Cash has a significantly lower hash power (computing power) than Bitcoin does and is hence significantly less secure. The network also has a lot fewer transactions since adoption is not as developed as Bitcoin’s. With that being said, if you are just getting started then you should stick to Bitcoin since many people consider it the safest bet in the cryptocurrency space. Once you are more familiar with the technology and this asset class, then you might want to also buy some altcoins like Bitcoin Cash. On the contrary to Bitcoin, Ethereum’s goal is not to be a currency and store of value. Ethereum is a world computer that enables anyone to create and operate so-called “smart contracts”, which are essentially pieces of software running on the blockchain that cannot be stopped or censored by anyone. This is especially powerful for fin-tech applications since Ethereum can completely cut rent-seeking intermediaries like banks out of the equation. This not only applies for value transfer, but also to loans, digital representations of assets like stocks, and trading without the need for a central platform like a stock exchange. The concept of a smart contract can be quite confusing at first, therefore it’s best to start out exclusively with Bitcoin and then potentially also dive into other coins like Ethereum once you have mastered Bitcoin. 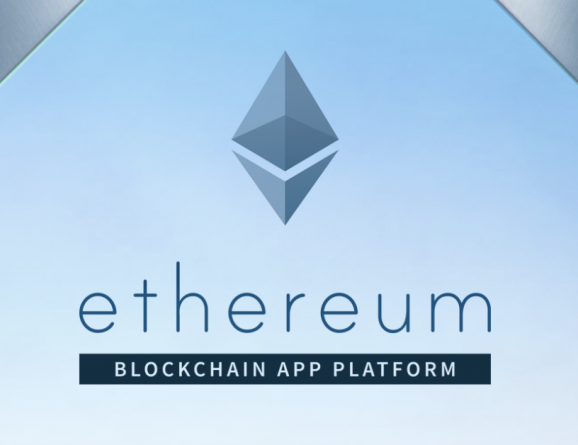 If you want to learn more about Ethereum then a great starting point is our article about real-world use cases of Ethereum. 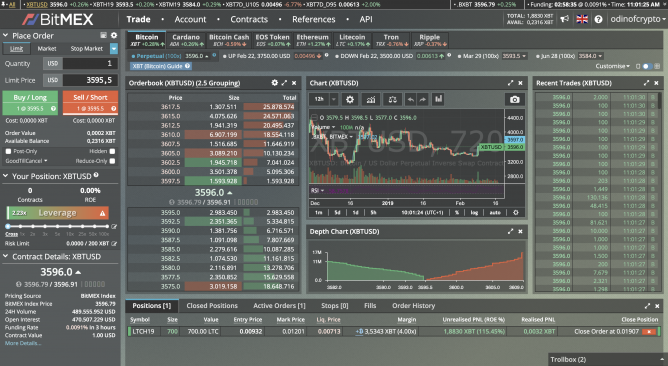 Buying Bitcoin is a lot simpler than most people think. Let’s outline how you can buy Bitcoin in 3 simple steps. 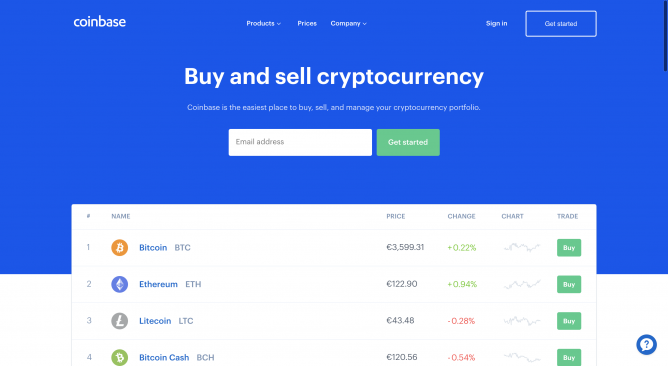 Coinbase is a great cryptocurrency exchange for beginners since it is not only safe and trustworthy, but it is also extremely easy to use. 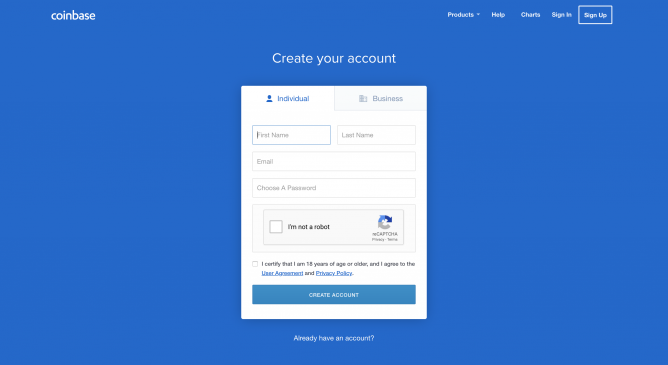 So the first step to buy some Bitcoin is to create an account on Coinbase, this just takes a few minutes and the exchange will initially only ask you for your name and email. After you verify the confirmation email to confirm your email address, you have the option to complete a basic identity verification where you submit your ID or Passport. You may only have to do this if you are planning to buy a large amount of Bitcoin. Note: This is a common practice in cryptocurrency exchanges and Coinbase has to do this identity check with large buyers to stay compliant. With that being said, let’s now jump to step 2! In step 2, it’s now time to deposit your fiat currency of choice that you will use to buy Bitcoin. 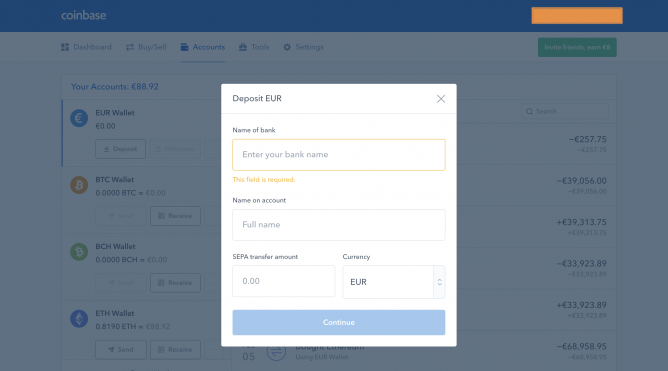 At the time of writing, Coinbase supports USD, EUR, and GBP. This, again, is also very straightforward and only requires you to input your bank name, your own name, and the amount in USD/EUR/GBP that you will deposit. Then just click “continue” and you will be brought to a page that gives you the bank account details of Coinbase where you have to send your funds. The final step is the easiest and quickest of all. After your funds arrived, which depending on your bank may take up to 2-3 days, you are now ready to buy Bitcoin. 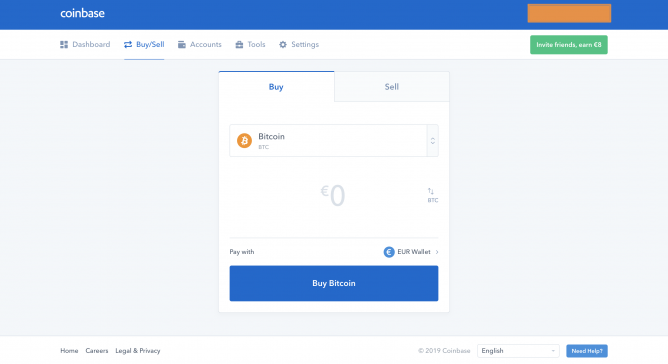 On this page, all you have to do is select Bitcoin (in the image above I already selected it), and then type in below the amount of USD/EUR/GBP worth of Bitcoin that you want to buy. Then you have to click “Buy Bitcoin” and that’s it! 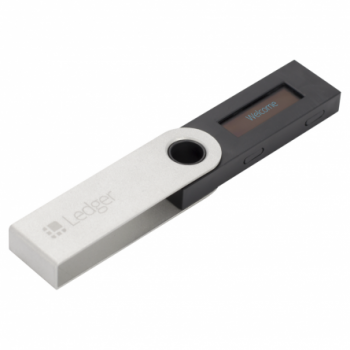 You are now a proud Bitcoin owner and among the first people in the world to own some.